It's enormously tempting to just fill this preview with the same old cliches I use every year. "Hard-working". "Well-organized". "Tough to break down". "Greater than the sum of their parts". If it seems like the same old story every season, that's probably because it is. 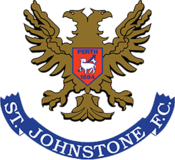 St. Johnstone run a tight ship with a prudent budget and tend to build their squad around experienced, reliable players. Rarely (except when they play Aberdeen, it seems) do they excite. And yet one simply cannot argue with five consecutive top six finishes. Only Celtic can match that. Last season that run looked doomed as the team initially struggled to compensate for the January sale of Michael O'Halloran to Rangers. But it all clicked again in the spring, and they were the division's on-form team after the split. They missed out on Europe for the first time in five years, but that may work in the favour of a small squad which probably didn't benefit from kicking off last season in fricking Armenia. This, along with the fact that the club didn't lose any first choice players this summer (apart from Celtic loanee Darnell Fisher), surely works in their favour. Therefore there's no reason why they can't continue as they left off in May. The four new signings will compete for places, though there's no guarantee any of them will walk into this team. Blair Alston, from Falkirk, is the most intriguing; a creative midfielder who was anonymous in some games but took others by the scruff of the neck. At 24, there were signs last year that he was maturing into a player who could be relied on every week, and St. Johnstone could be the ones to benefit. I did see some derision - mostly from Dundee United fans - regarding the arrivals of Paul Paton and Keith Watson. Watson is a solid enough right-back who, if Joe Shaughnessy's future is indeed in the central defence, offers a competent alternative to Cuptie Mackay if the veteran's 36 year old knee doesn't bounce back from recent surgery. Meanwhile, Paton is hardly a player you'd pay to watch but United were so much more solid with him protecting the defence. The controlled aggression and positional discipline make him the sort of player Tommy Wright covets. The other new boy is a bit of a wildcard; winger Michael Coulson stood out at York City when he wasn't injured. A hard worker (that cliche again! ), he will probably supplant the likes of David Wotherspoon and Danny Swanson, who has impressed in pre-season after a mediocre campaign. None of them are speedsters though, and pace in attack is certainly something that has been lacking since O'Halloran's exit. As for goals, attention will turn yet again to the evergreen Steven MacLean whose strike rate and nous remain as potent as ever. He may be 34 in August, but MacLean shows no sign of going off a cliff, mainly because speed was never his thing anyway. The Scottish Teddy Sheringham? Graham Cummins and Chris Kane will fight to partner him; both will put in a shift but are quite streaky in front of goal. Still, they create space for that impressive midfield with Swanson, Wotherspoon, Murray Davidson and Liam Craig all capable of chipping in. At the other end, the defence got more solid as last season went on, with Steven Anderson and Brian Easton still to see the plaudits they deserve for their impressive consistency. It didn't surprise this writer that Zander Clark seems to now be first choice in goal; Alan Mannus might have been in Northern Ireland's Euro 2016 squad but he looked to be in decline last season, and Clark has earned his chance to establish himself. Yet again, the Perth Saints will run one of the Premiership's more prudent budgets, yet they should finish in the top half yet again. It's hard to argue with suggestions that Tommy Wright is some sort of genius. He's managed to cope with the loss of players like O'Halloran and Stevie May, and hits more often than he misses in the transfer market. And yes, he can clearly organize a team. It feels like a matter of time until someone decent (no, Dundee United don't count!) comes calling for the Northern Irishman. Until then, St. Johnstone will make hay.